The Athlete’s Way presents a practical, motivational fitness program that incorporates brain science, positive psychology and behaviorism to transform lives from the inside out. It is the antidote to the imbalances created by living a sedentary, inactive existence. Badwater Ultramarathon veteran Christopher Bergland has created a program that uses neurobiology and behavioral models to help improve life through exercise. Jay Birmingham recounts his 1981 Death Valley crossing, the second ever successful run from Badwater to Mt. Whitney. This book details Corley’s path from being a flat broke 20-year-old kid in Tennessee to making it on Wall Street and becoming a millionaire in his late 30s. He tells the story of his transformation from being a couch potato in his early 40s to running his first 5km event and subsequently qualifying for the Boston Marathon, competing in the New York Ironman Triathlon, and, a decade later, running the Badwater 135. Written by two runners with years of experience in the Valley, this guide is a collection of everything runners and their crew need to know to crew a successful Death Valley ultra compiled into one well-organized, easy to use reference. Sharon Gayter is one of the world’s top ultra runners. She could barely stagger half a mile before collapsing breathless and exhausted after a friend gave her a first pair of running shoes. She has now run 837 miles from Lands End to John O’Groats in a blistering 12 days and 16 hours and holds the Commonwealth gold medal for running 140 miles in 24 hours. She has run incredible distances all over the world. Sharon Gayter was driven to run. Running gave her freedom, to discover who she was and to make her own life on her own terms with spectacular success. En route to international acclaim she found the perfect husband. An amazing, inspirational story for runners and non-runners alike. When his older brother commits suicide, Kirk starts running—running to escape, running to understand, running straight into the hell of Badwater, the ultimate test of endurance equal to five consecutive marathons. From the inferno of Death Valley to the freezing summit of Mt. Whitney, alongside a group of dreamers, fanatics, and virtual running machines, Kirk will stare down his limitations and his fears on a journey inward-a journey that just might offer the redemption of his deepest and most personal loss. Johnson is an editor at the New York Times who completed the 1999 Badwater Ultramarathon and was featured in “Running on the Sun,” the feature-length film about that year’s race. From the hilarious to the profound, the linked stories in Run! create an unforgettable tableau, offering a glimpse into the mind-set and motivation of an extreme athlete. Karnazes addresses the pain, perseverance, and emotional state as he pushes the edges of human achievement. The tales of the friendships he’s cultivated on his many adventures around the world warm the heart and are sure to captivate and inspire. Dean Karnazes is an ultramarathoner, a member of an elite group of athletes who run in 50- and 100-mile races and beyond. In Ultramarathon Man, he recounts some of the biggest races of his life and explains the passion that leads him to push his body to its limits. Although this book was released in early 2005, the year after Dean won the Badwater Ultramarathon, the chapter about Badwater recounts his DNF experience in the 1995 race. Born to Run is an epic adventure that began with one simple question: Why does my foot hurt? In search of an answer, the author sets off to find a tribe of the world’s greatest distance runners and learn their secrets; in the process showing us that everything we thought we knew about running is wrong. PLEASE NOTE: The author did not attend the Badwater Ultramarathon and essentially everything he wrote about the race is either extreme exaggeration, unsubstantiated hearsay, ancient and irrelevant history, or just plain nonsense. His “quotes” from the race director were not from an actual interview; they were copied from the official race report. Badwater Ultramarathon veteran and “real estate artist” Frank McKinney helps you wash away the worry and anxiety that financial theorists and misguided media constantly dump into the real estate marketplace. During his 25-year career, Frank has thrived through all economic conditions by taking a contrarian approach and making his own markets. Badwater Ultramarathon veteran Frank McKinney boldly enters young reader fiction in this fantasy novel. The story was inspired by the more than 1,250 walks to school McKinney has shared with his daughter and her friends in real life. Come along with Ppeekk and her friends into the fantastical world of Dead Fred, Flying Lunchboxes, and the Good Luck Circle. In The Extra Mile we watch Badwater Ultramarathon veteran Pam Reed seek balance in her life as a wife, mother, athlete, and entrepreneur. With astonishing candor she tells of her 15-year-long battle with anorexia. And she helps us to understand her passion for ultrarunning—to discover how far the human body can be pushed. When life turns up the heat, you have two choices. You can bend and break, or you can step boldly into the furnace and let your soul catch fire. Into The Furnace explores the inner workings of bravery, hope, and passion. These themes are framed against the backdrop of the Badwater Ultramarathon – a 135 mile race across the hottest place on the planet, Death Valley. Cory Reese has walked into the furnace. He has faced adversity, both in running and in life. His book captures the essence of what it means to suffer, what it means to persevere, and ultimately, what it means to create a life of clarity and purpose.. 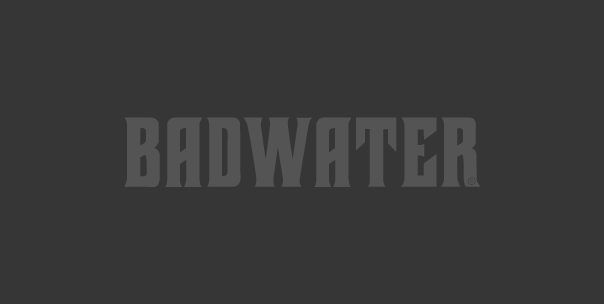 The Badwater Ultramarathon through California’s Death Valley is one of the world’s toughest races. Lisa Tamati was the first New Zealand woman to compete in the race alongside such legends of the sport as Dean Karnazes and David Goggins. But Lisa’s story is so much more than that one race. In the fall of 2008, Badwater veteran Marshall Ulrich clocked the third fastest transcontinental crossing to date and set new records in multiple divisions. In Running on Empty, he shares the gritty backstory. Ulrich also reaches back nearly 30 years to when the death of the woman he loved drove him to begin running—and his dawning realization that he felt truly alive only when pushed to the limits. This is the the only book/ e-book in German language about Badwater 135. Vieler is a two-time Badwater 135 finisher in 2011 and 2017. Jens Vieler has a dream: to start at the legendary Badwater Ultramarathon. The race takes 217 kilometers through one of the hottest parts of the world and at the same time from the lowest point in the USA up to the highest mountain in continental North America. To fulfill the qualification standard alone, he has to perform crazy endurance achievements. When he is finally able to start as one of 100 chosen ones, an adventure begins that demands more than just a runner. This link is fixed! Thanks for calling it out.